While our property markets performed reasonably well in the generally quiet month on January this year, it’s clear that residential property price growth at the national level continues to ease from the peak of mid 2014. The Sydney and Melbourne markets remain the most buoyant (albeit on low early-year sales levels), posting the strongest monthly price gains across the capital cities. 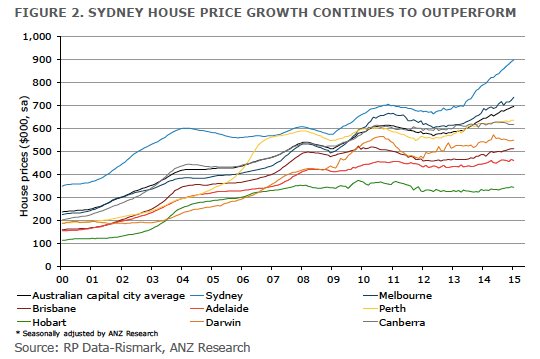 The ANZ Bank report that in Sydney, house price gains continue to be driven by strong population growth and solid demand from residential property investors. 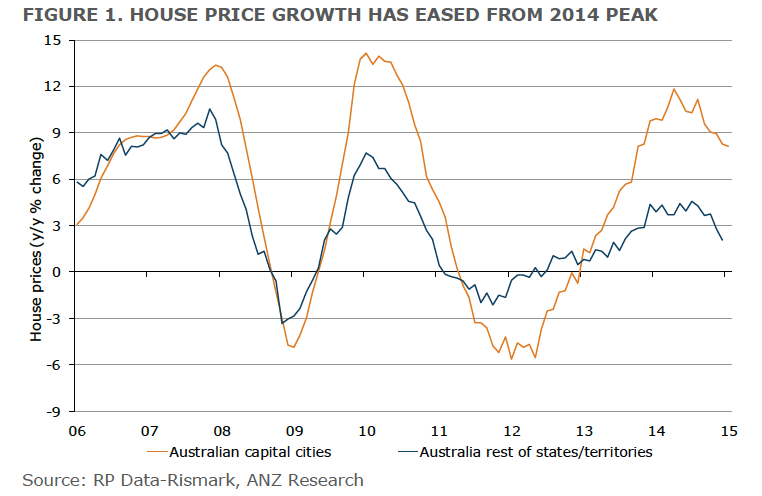 Nonetheless, ANZ expect house price momentum will ease through 2015 with house price growth in Sydney and Melbourne in particular likely to be weighed down by deteriorating affordability and softer investor demand. 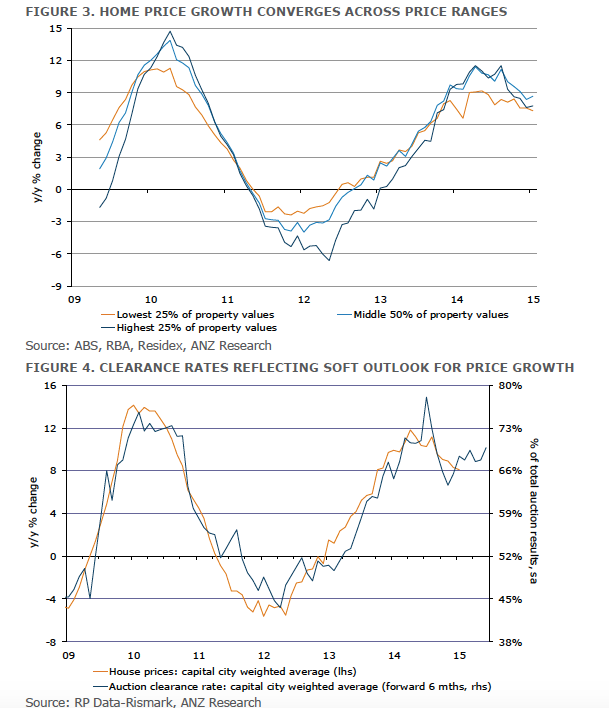 Steady auction clearance rates point to further price growth at or around current growth rates in the coming months. Nonetheless, tentative consumer confidence is likely to weigh on housing sales and soft household income growth has effectively closed the ‘affordability gap’ in Sydney.